Apple has announced plans to build a new campus in the United States, in addition to the recently completed Apple Park, as part of a major investment and job creation strategy. The tech company's giant Foster + Partners-designed campus has barely finished, but Apple already has its sights on another construction venture – away from its headquarters in Cupertino, California. "The company plans to establish an Apple campus in a new location, which will initially house technical support for customers," said a statement released yesterday. "The location of this new facility will be announced later in the year." No details were released about who will design the new facility, or how big it will be. However, Apple anticipates it will create over 20,000 new jobs at its existing campuses and the proposed new site over the next five years. The new campus forms part of a wider set of investments that Apple says will bolster the US economy, including spending with domestic suppliers and manufacturers. The company predicts that it will contribute $350 billion to the US economy over the next five years, not including tax payments, revenues from employees' wages, and product sales. Apple is also due to pay approximately $38 billion in repatriation tax on its overseas cash, following president Donald Trump's recent changes to tax law. "Apple is a success story that could only have happened in America, and we are proud to build on our long history of support for the US economy," said CEO, Tim Cook. Since the announcement, speculation has grown that cities and states may become embroiled in a bidding war to attract the new Apple campus – much like the ongoing battle for Amazon's HQ2. Along with its hundreds of stores across the country, Apple has data centres and facilities in seven US states. The company also announced it broke ground on a new facility in Reno, Nevada, yesterday – although details about this are also sparse. Employees have been moving into Apple Park in stages, as its buildings completed one by one since spring 2017. They include the giant ring-shaped structure at the centre, an auditorium and a combined Apple Store and visitor centre. 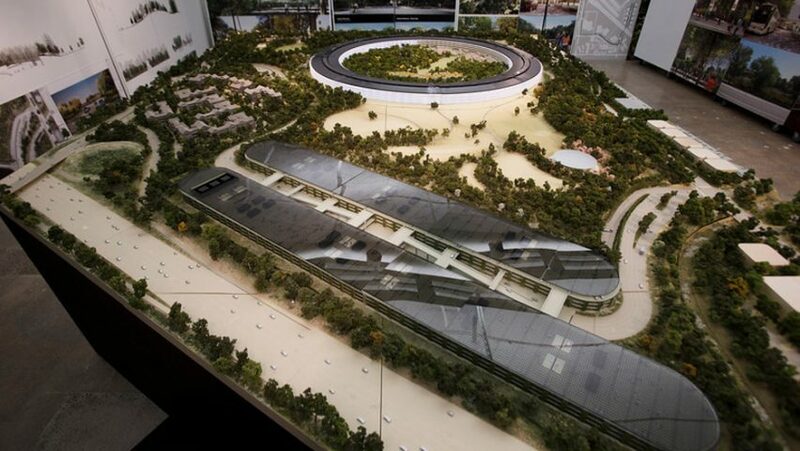 The whole site is powered by renewable energy, as Apple promises the additional campus will be. "All of Apple's US facilities, including offices, retail stores and data centres, are powered by 100 per cent renewable energy sources like solar, wind and micro-hydro power, which Apple generates or purchases from local projects," said the company's statement. "The new campus announced today will also be powered entirely by green energy."